Isn't this one of the first nursery rhymes we learnt as kids? Well, it's definitely one of the very first songs I sang to all three of my babies, even when they were still inside my tummy. There's something so magical and wonderful about the Little Star that makes this song so well-loved throughout the world. Now, imagine if you were able to see Little Star come to life on stage and follow it as it goes on a fun-filled adventure? How awesome that would be! 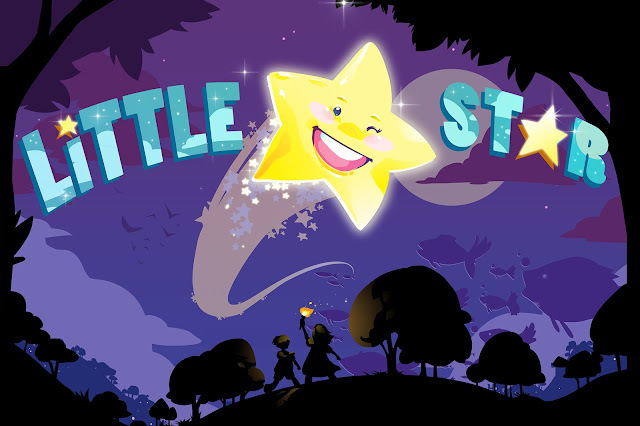 Brightly shining, and twinkling with fun and laughter, I Theatre reveals the very special LITTLE STAR, its second brand new production for this year which is specifically targeted at children aged between two and six years old. When a comet passes by, she hitches a ride, and her adventures begin. Follow Little Star through space, down to earth and even under the sea, as she tries to find her place in the universe. Little Star, based on the very famous nursery rhyme, will be a highly visual and interactive production, with wonderful tunes, but minimal dialogue, exploring the wonders of the universe, and the joy of re-discovering your home and family. Tickets: $32/adult or child, $121.60/family package of 4, $144/family package of 5 (excludes booking fee). Book your tickets at SISTIC or call 6348 5555. Good news, A Happy Mum is giving away TWO family packages of 4 tickets each to LITTLE STAR! To participate, leave a comment in this post with your name and email address. Indicate in the Rafflecopter widget that you have done so. To increase your chances of winning, you can choose to carry out the rest of the options. Best of luck! 1) This giveaway ends at 2359hrs on 7 Aug 2016. 2) The winner will be contacted via email and will have 48 hours to respond, failing which a new winner will be picked. 3) Tickets will have to be self-collected at I Theatre's office at 27 Kerbau Road on weekdays from 10am-12pm or 2pm-5pm. 3) All incomplete entries will be disqualified. 4) To be fair to all readers and sponsors, please take part only if you can attend the show. a Rafflecopter giveaway Disclosure: We were invited by iTheatre to watch Little Star and received complimentary tickets in writing this post. All opinions are our own. Thank you for the chance ! Hope to win for my girls ! Would love to go for the show. Thank you. Hope to win for my girls. Thank you for the wonderful giveaway! Hope to let my little one experience this production. My family will love watching. Thanks.